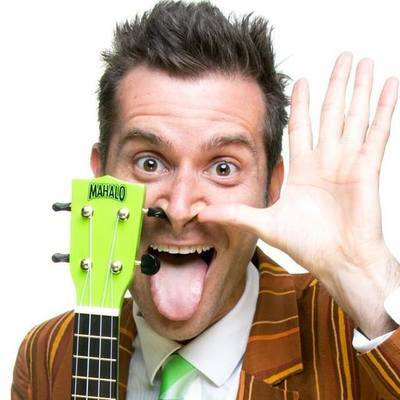 Mr Snot Bottom is a Comedian for Kids who will be performing at Melbourne Town Hall over the Easter School Holidays, as part of the Melbourne International Comedy Festival. Hilariously disgusting kids comedian Mr Snot Bottom returns with a mind-blowing mucus-filled musical (mucusical!!) brimming with all the topics kids love ­– boogers, bottoms, pop-offs and smells! Expect brand-new tasteless tunes, horrible harmonies and repulsive rhythms plus plenty of gross gags and wrong routines in this symphony of stupid! Featuring songs co-written with Benny Davis of Axis of Awesome, Tom Bettany of The Beards and many more. A children's comedy icon with sold out shows and rave reviews at the Melbourne Comedy Festival, Sydney Comedy Festival and Edinburgh Fringe, Mr Snot bottom appeals to all ages transporting families to a crazy, joyous world where they can laugh together. Win a Family Pass to Mr Snot bottom at The Melbourne Comedy Festival these school holidays. Just tell us the grossest thing your kids have ever done via email to kidtownmelbourne@gmail.com, and the winner will get four tickets to any date of their choosing between April 8th - 15th, 1pm at The Melbourne Town Hall. We will contact the winner by Friday 24 March, 2017.